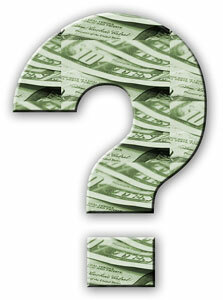 You May Be in Financial or Tax Trouble if You Answer “YES” to Any of These Questions! Are you unable to pay your mortgage, auto loans, credit cards, taxes or student loans in full and on time? Do you need debt relief now? Are your credit cards and other lines of credit maxed out? Do you take cash advances that you can't pay off at the end of the month? Do you borrow money from family or friends to pay your expenses and bills? Are you withdrawing money from your retirement account to pay your bills, taxes or other debts? Do you need but can't afford to pay for a reliable car, repairs to your home, health insurance or medical care? Do you worry every day about your finances and how you are going to pay your bills? Do you receive telephone calls at all hours of the day and night or letters demanding payment? Can you afford to pay your unpaid taxes? Do you need tax relief now? Smart Bankruptcy Solutions assists individuals, professionals and businesses to find solutions to their debt and tax problems and file for bankruptcy or reorganization in the Bankruptcy Courts in Massachusetts and New Hampshire. We represent clients in New Hampshire in accordance with the Rules of the Federal District and Bankruptcy Courts. We are a federally recognized Debt Relief Agency. We represent clients who live or conduct business in Newburyport, Andover, Haverhill, Merrimack Valley, Greater Boston, Lawrence, Lowell, Salem, Peabody, Danvers, Lynn, Seabrook, Exeter, and Rockingham County, New Hampshire. Our office is conveniently located on the North Shore in Newburyport, Massachusetts, a short distance from Routes 95 and 495, and the New Hampshire border.